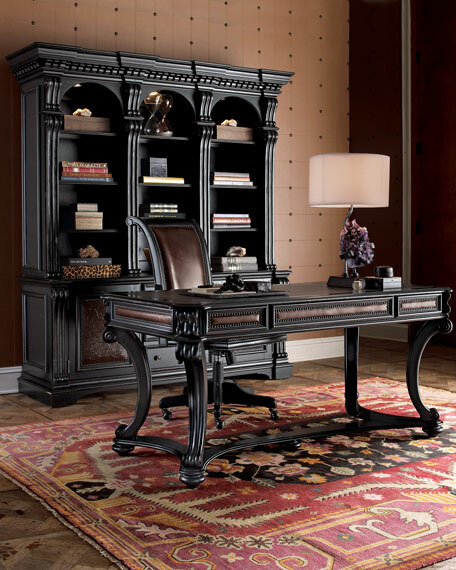 Antiqued black writing desk is handcrafted and detailed with leather inlays and iron-plated nailhead trims with copper coloring. 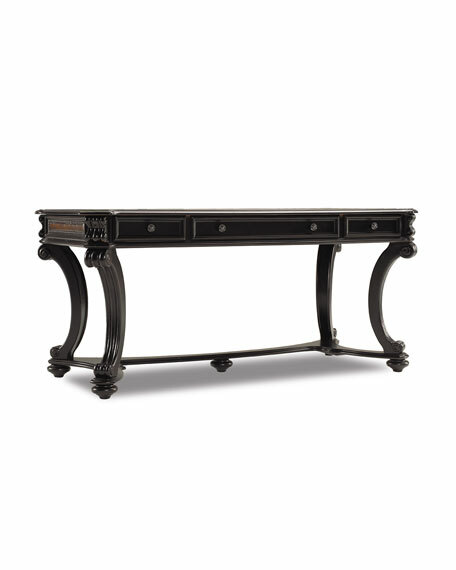 Made of hardwood solids and laminated lumber. Three drawers; center drawer has a drop-down front for keyboard or laptop storage. 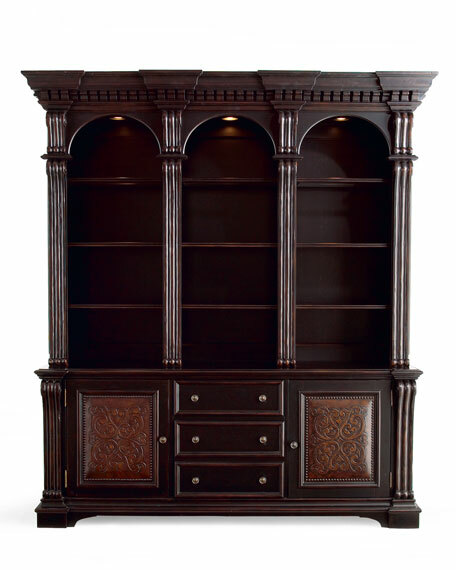 66"W x 32"D x 30"T.
Bookcase and hutch handcrafted of hardwood solids. 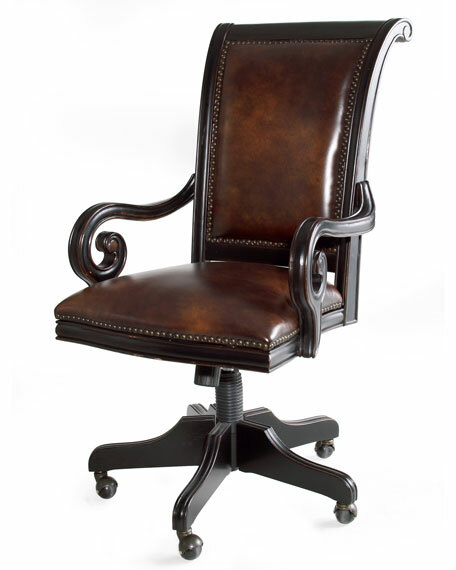 Detailed with leather inlays and iron-plated nailhead trims with copper coloring. 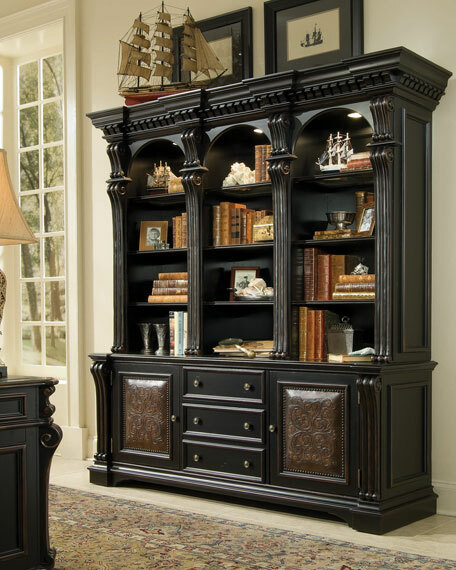 Utility drawer, a file drawer, two cabinet areas with an adjustable shelf in each, and eleven shelves. 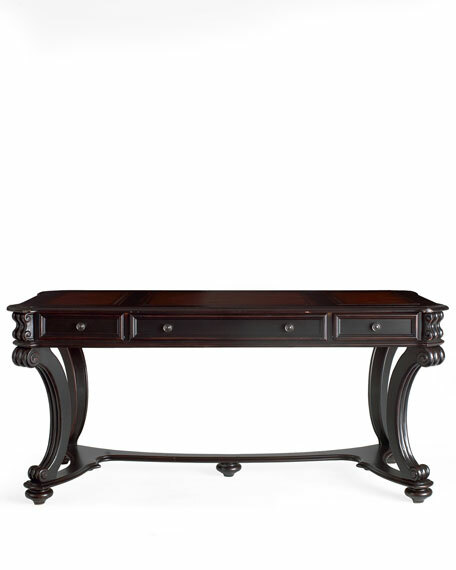 72.5"W x 22.5"D x 88"T.
Boxed weight, approximately 529 lbs. 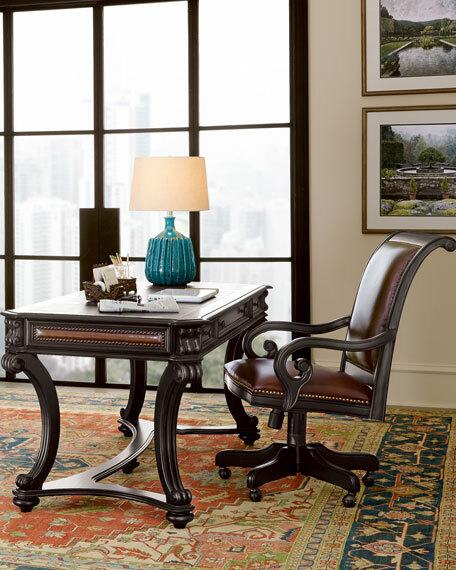 Antiqued black carved desk chair is handcrafted and detailed with leather inlays and iron-plated nailhead trims with copper coloring. Pneumatic lift for height adjustment. 24"W x 29.75"D x 43.5"T.